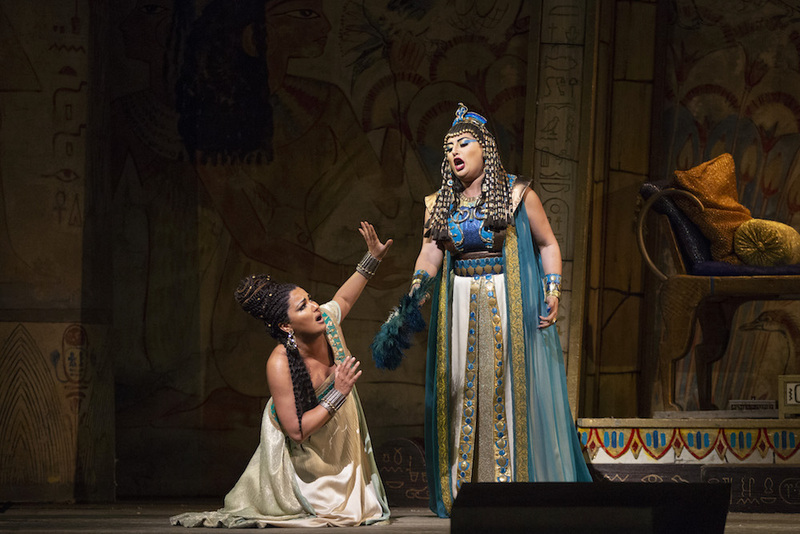 An example of grand opera at its best, Verdi’s Aida kicks off the season for Great Performances at the Met. This love story set in ancient Egypt features a powerhouse cast, starring Anna Netrebko in the title role and Anita Rachvelishvili as Amneris. Both carry an amorous torch for Radames, played by Aleksandrs Antonenko, and go toe-to-toe in a complicated love triangle during a war between Egypt and Ethiopia. Aida calls into question loyalty of the heart and loyalty of one’s country. Is all really fair in love and war? Expect to be dazzled by renowned arias like “Celeste, Aida” and a magnificent score featuring the famous “Triumphant March.” Combined with breath-taking décor, the cast of all-star singers will captivate your eyes, ears, and heart. Composer Nico Muhly returns to the Met with a thrilling new work, which reimagines Winston Graham’s novel for the operatic stage. 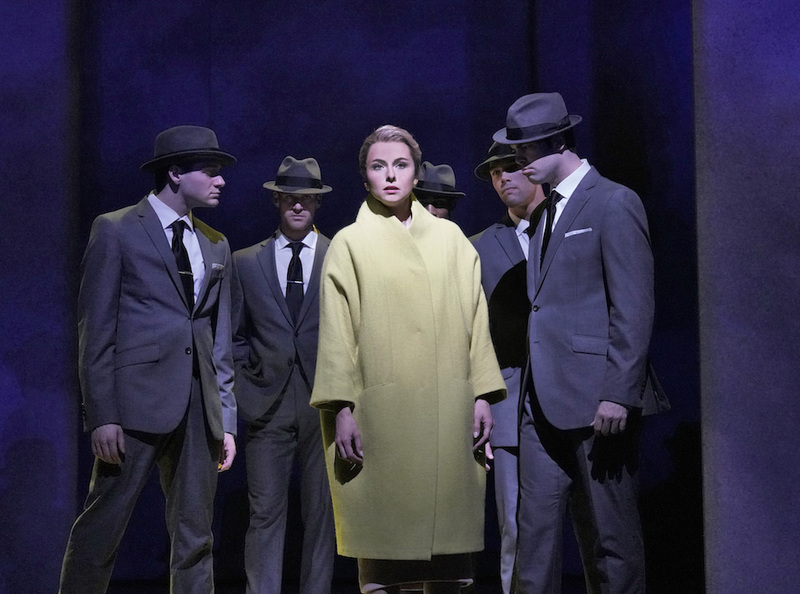 Set in 1950s England, Marnie stars Isabel Leonard in the title role alongside Christopher Maltman as Mark Rutland. Hewing more closely to the novel than its cinematic predecessor by Alfred Hitchcock, Marnie is a dark mystery. Leonard’s character assumes multiple identities, running from a painful past into an all too uncertain future. This opera can also offer a timely commentary of gender power dynamics in the current era of #MeToo. This is an exciting new production of a beloved classic by Verdi. 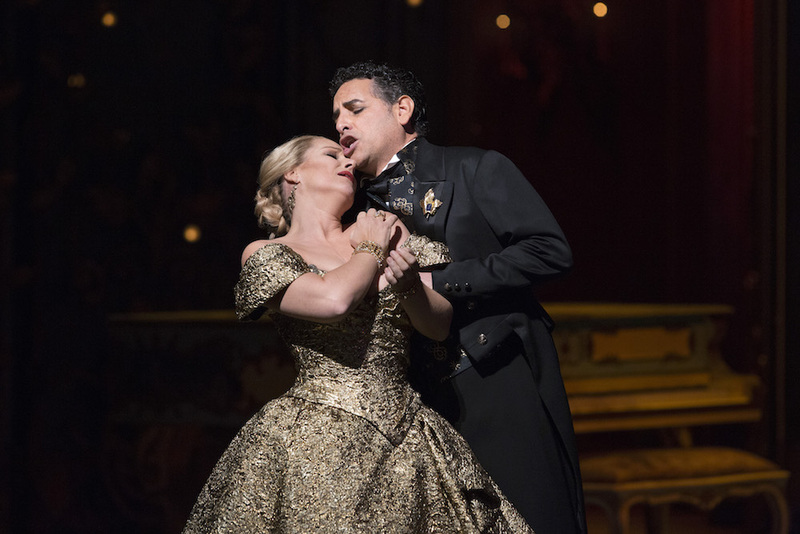 La Traviata stars Diana Damrau as the tragic heroine Violetta alongside Juan Diego Flórez, who returns to the opera house for the first time since 2015, as her hapless lover, Germont. Together, these powerful and charismatic singers tell the story of star-crossed lovers in 19th century France. La Traviata is also the first time Yannick Nézet-Séguin will take the baton to conduct the richly textured opera, under the title of Music Director at the Metropolitan Opera. Directed by Tony Award winner Michael Mayer (Spring Awakening), anticipate fireworks and goosebumps. Fun fact: Coincidentally, this production of La Traviata will broadcast on PBS eight years after Florez and Damrau starred in another Met production together, Le Comte d’Ory. Florez cut it very close to the curtain call, due to the birth of his first child. Clémentine Margaine reprises the title role after an unforgettable run as Carmen during the 2017-2018 season. Her velvety voice and coy expressiveness entices listeners to enter the world of the famous gypsy seductress. 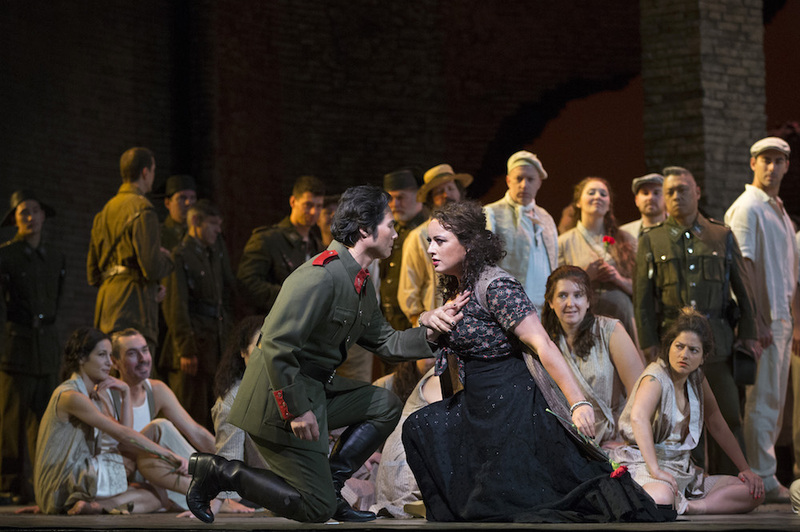 With performances as Carmen in over 15 productions internationally, Margaine has created a riveting character that embodies the true spirit of Bizet’s renowned heroine. Conducted by Louis Langrée, this opera is perfect for music lovers and those who are discovering the magic of opera. Javier Camarena and Pretty Yende are a knock-out duo in this zany romantic comedy by Donizetti. Yende performed as Adina in L’Elisir d’Amore, another Donizetti opera, during the 2017-2018 season. Now, the young soprano returns as Marie, an orphan adopted by an army regiment in the Tyrolean Alps. The love-struck Tonio, played by Camarena, is determined to do whatever it takes to be Marie’s husband. A distinguished bel canto singer, Camarena is also one of the few tenors ever to sing an encore at the Met (the others being Luciano Pavorotti and Juan Diego Flórez). This production is exhilarating, especially with the notorious tenor aria “Ah, Mes Amis,” an operatic marathon featuring nine high C’s. 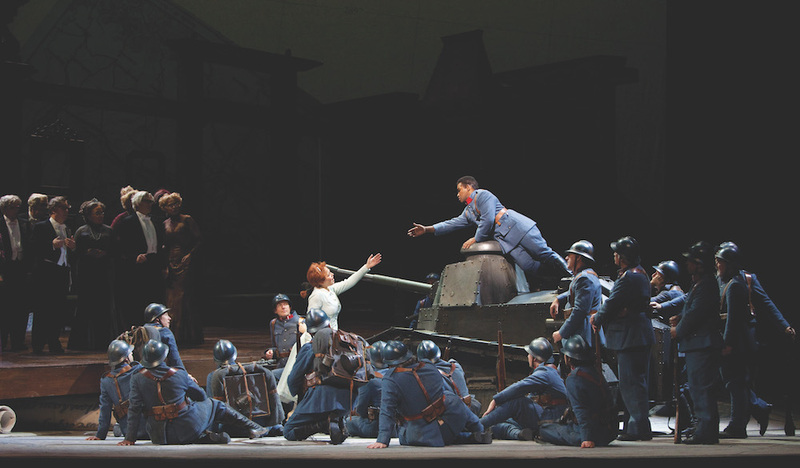 A rollercoaster for the singers and audience alike, La Fille du Regiment is a comedic opera that mesmerizes and delights. Aida (Verdi) – Sunday, January 20 at 12 p.m.
Marnie (Muhly) – Friday, February 1 at 9 p.m.
Samson et Dalila (Saint-Saëns) – Sunday, March 24 at 12 p.m.
La Traviata (Verdi) – Friday, April 5 at 9 p.m.
Adriana Lecouvreur (Cilea) – Sunday, May 12 at 12 p.m.
Carmen (Bizet) – Sunday, June 16 at 12 p.m.
La Fille du Régiment (Donizetti) – Sunday, July 7 at 12 p.m. Die Walküre (Wagner) – Sunday, August 11 at 12 p.m.
Dialogues des Carmélites (Poulenc) – Sunday, September 1 at 12 p.m.